I have ignored the western approach to the High Sierra. The eastern approach is just more dramatic and easy for most peaks. 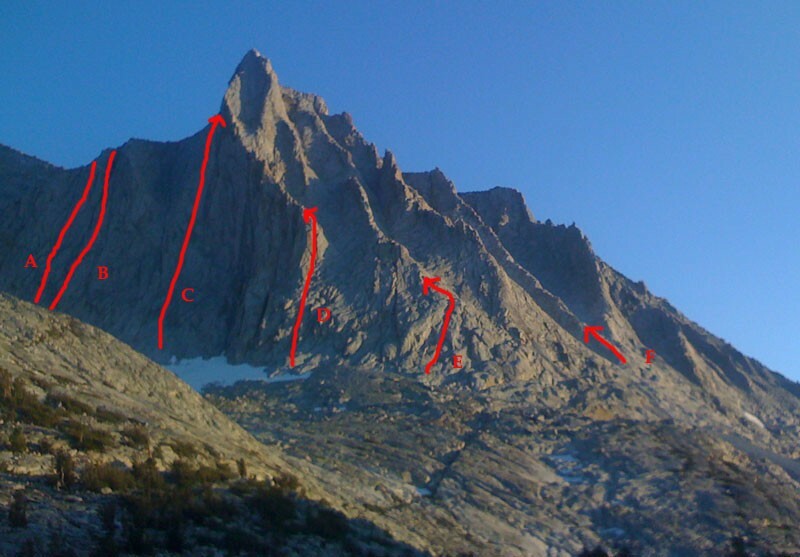 When I got an invite to climb Seven Gables, i got my first glimpse of the high western slopes. The initial drive isn't that exciting. Mammoth and Lee Vining on the East side have dramatic views. Madera and Prather on the west side have Pizza Factory's "we toss em, they're awesome!". But once you start gaining elevation up "the famous four lane" the drive gets cool fast. The last hour of driving to the Vermillion Lakes resort is staggering: a skinny road with big drop offs and views that winds through blasted granite. Dan Duane, lead journalist, is smart. So smart he hired mules to carry our gear while we hiked with day packs. I highly recommend this if you can get someone else to pay the $700 for it. Jimmy Chin was team photographer and Ivo Ninov was team story teller. Everyone was a pro at their job. Including me: team dork as I was the only one to bring a giant sun hat, trekking poles and a solar panel so i could listen to books on tape the whole time. OK, its business time. Direct your attention to the map below.